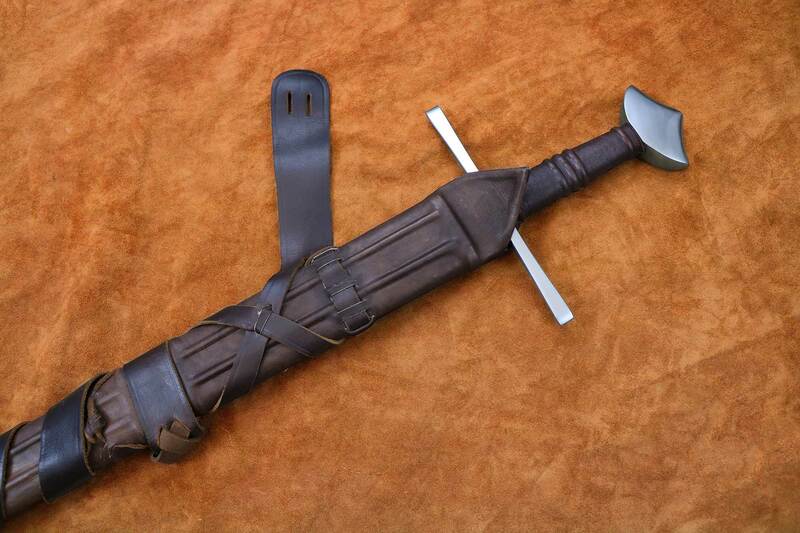 The 13th Century was a turning point in the making of swords and armors of the Middle Ages. Typically, armors dating prior to the 13th century were mainly composed of mail armor, or maille, made to counter the impact of the uniform sword blades of the early medieval period. 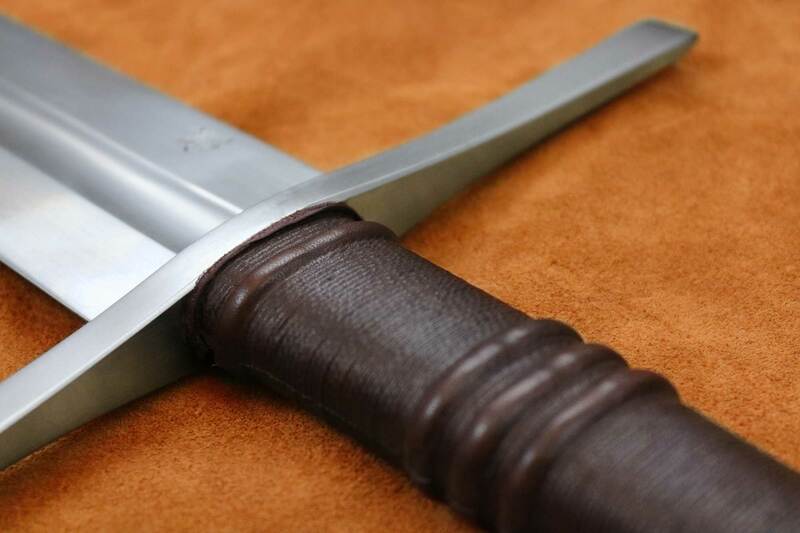 By the mid-13th century however, the armies of Feudal Europe witnessed not only an increase in plated armour but consequently, witnessed a change in blade geometry. 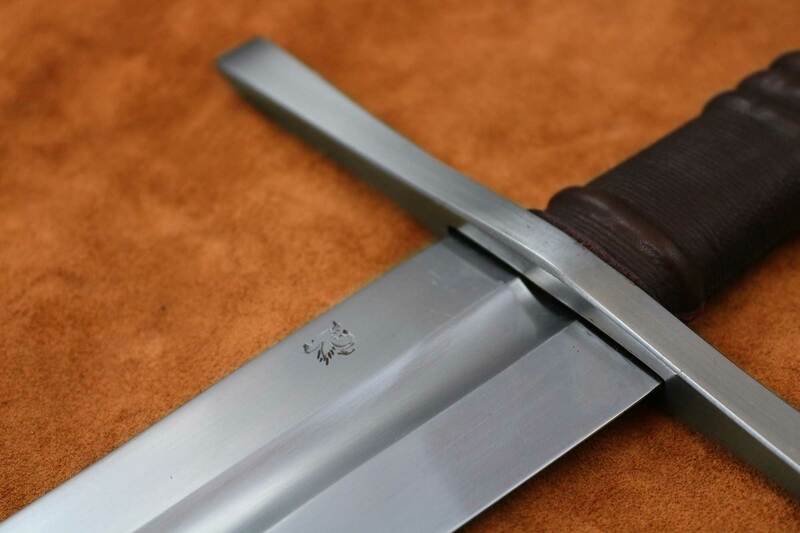 Finely tapered blades, with very pointy tips now served to pierce through ever-increasing plate armor of the military elite. 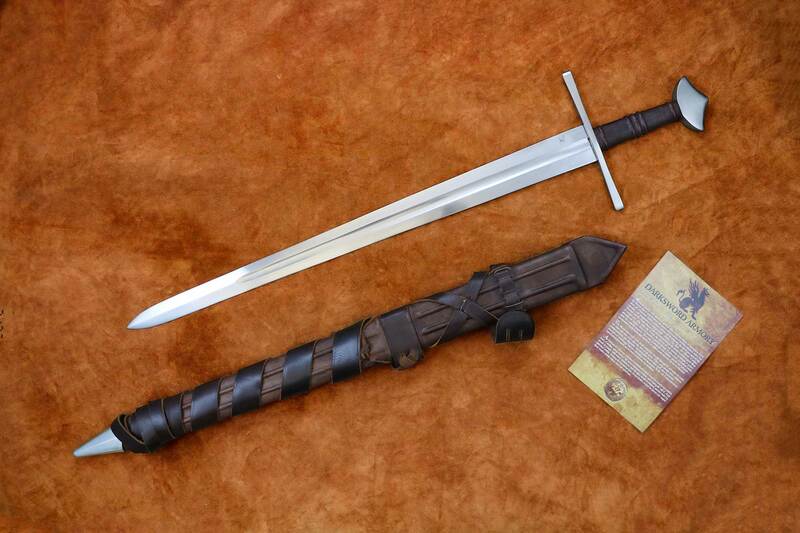 This is an interesting example of the transitional medieval swords used during the outset of the 13th century. 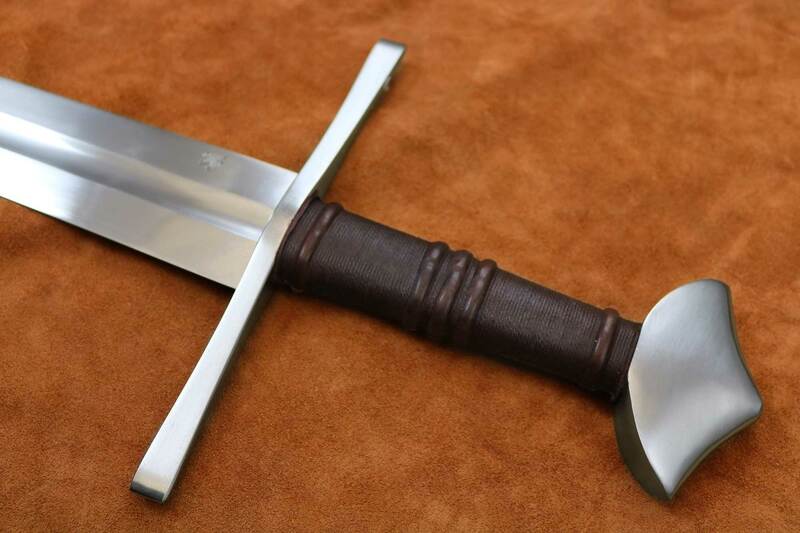 Crowned with a “cocked-hat” pommel, originally found in Scandinavia, this sword hilt was generally mounted on a type X or type XII blade. 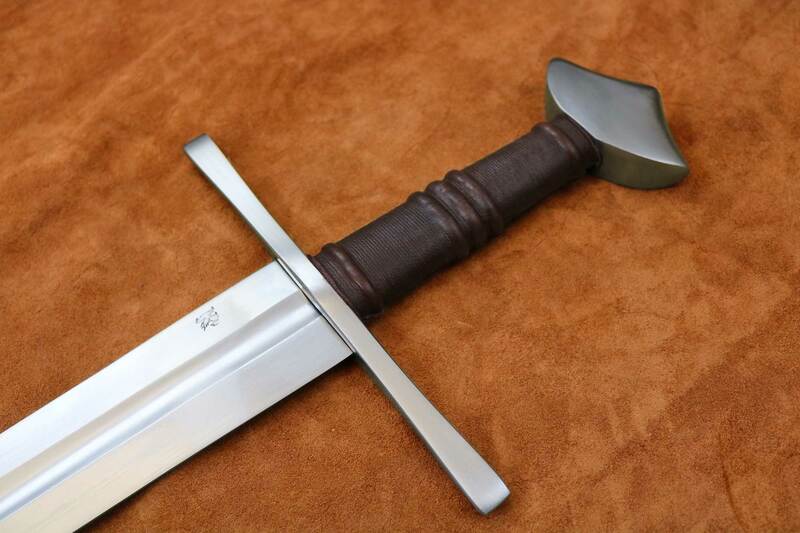 The “cocked-hat” pommel, classified by Petersen as Type Y, was used through the 11th and 12th centuries. 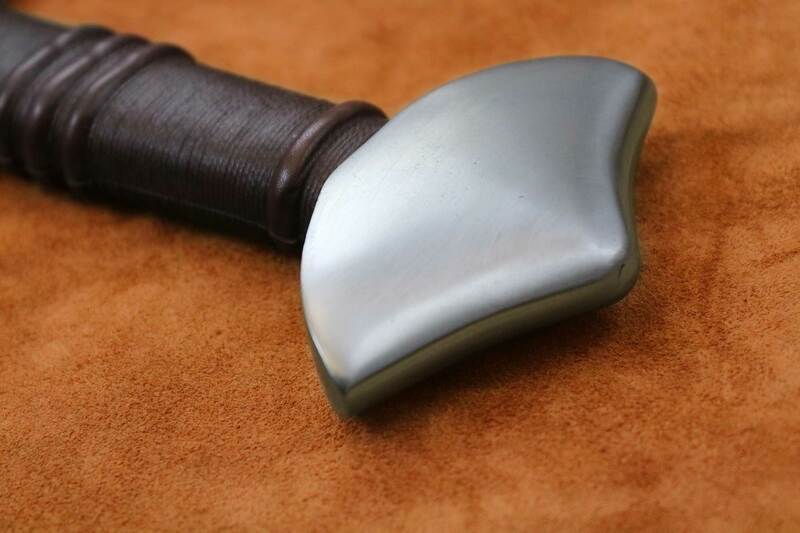 By the 13th century the “coked-hat” pommel remained in use, but became more massive. Numerous examples are found throughout Europe. 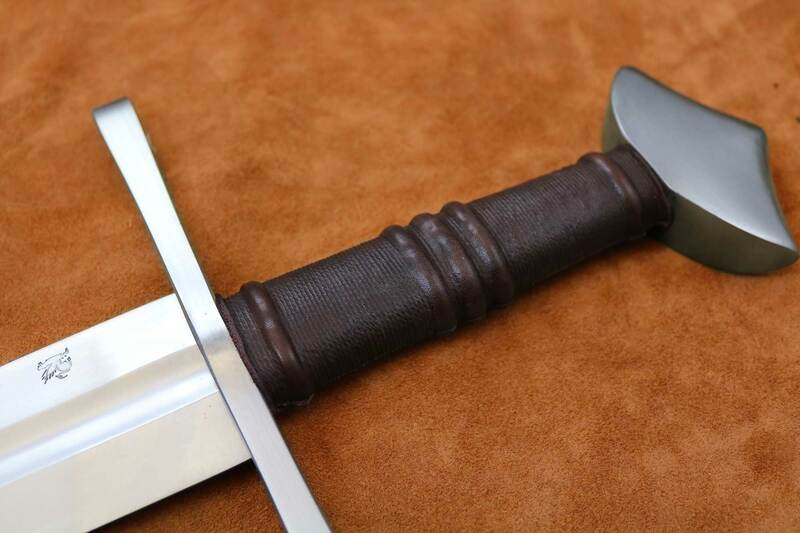 During his examinations of various swords of the middle ages, Oakeshott noted identical swords in various sources; from a crucifixion scene in a 13th century manuscript from Goslar, a sword found in Hungary with an identical pommel, another identical sword from Brunau, An example found in a German manuscript and a final example at the end of the 13th century on the grave-slab of Ulrich von Regensburg in Zurich.